South Beach Penthouse #4 is a luxurious oceanfront condo on the 3rd floor with unit #5 (www.710beachrentals.com/SOUTHBEACH5-2999OF) and has an ocean facing front deck with sweeping views of the Pacific Ocean! 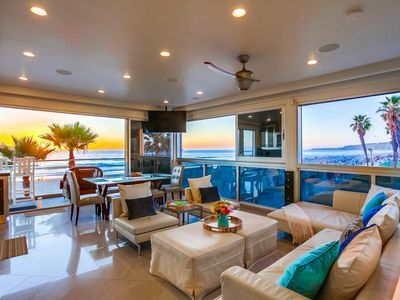 Built in 2006 with high-end amenities, the living room features retractable glass doors for unobstructed views of the Pacific Ocean. The kitchen features stainless steel appliances and everything you will need to cook a delicious meal! There's a washer and dryer in the unit and a secure parking garage for one car. Additional parking may be found outside the front door on San Fernando Pl. 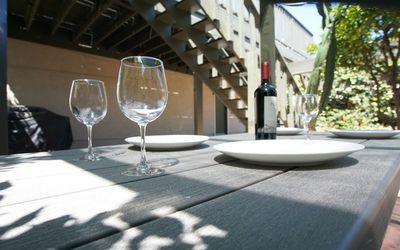 - Community ground floor front patio with lounge chairs, BBQ grill, and an outdoor dining table. 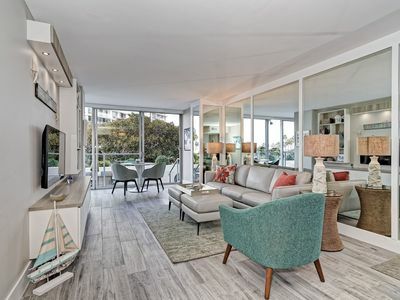 - Retractable glass doors for unobstructed ocean views! - No smoking is allowed on the premises. 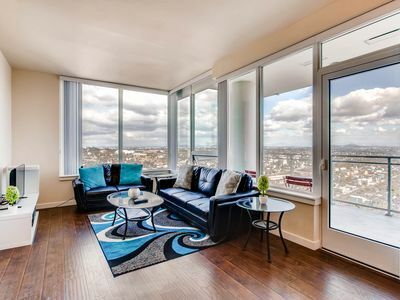 This includes patio, balconies and building common areas. - 710 Beach Rentals is not responsible for elevator repairs. 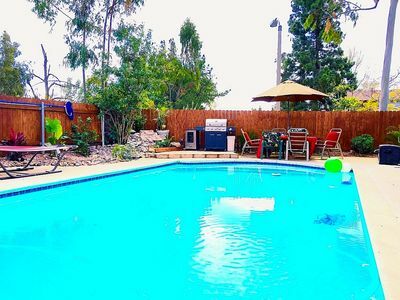 - The San Diego Airport has a convenient, central location in the city. Due to this location, one of the flight paths goes over the Mission Bay channel, at the South end of Mission Beach. Airplane noise may be heard intermittently throughout the day, flights are not permitted between the hours of 11pm - 6am. 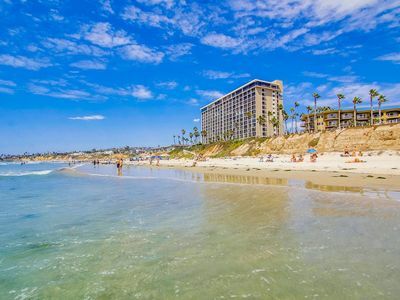 Mission Beach is San Diego's lively take on the classic boardwalk beach town with over five miles of waterfront boardwalk, trendy shops, restaurants and Belmont Park, a beachfront amusement park featuring the historic Giant Dipper Roller Coaster, miniature golf, bumper cars, rock climbing and an arcade. 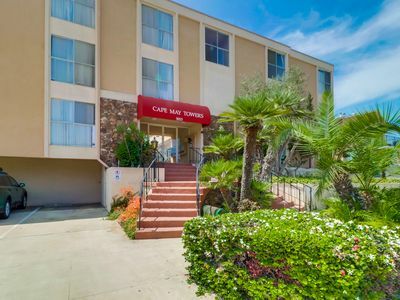 Mission Beach is just a few minutes to Sea World, 15-20 minutes to The San Diego Zoo, Balboa Park, and San Diego International Airport (SAN), and downtown San Diego. SOUTHBEACH4 is located in South Mission Beach, about 1 mile south of Pacific Beach and just over a few blocks from of Belmont Park. 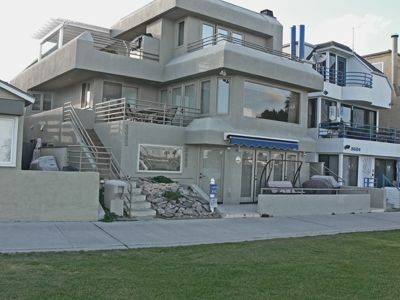 The ocean is within a 30 second walk and Sail Bay is right across the street. This rental is located in a very quiet, high-density neighborhood with strict house rules and is only suitable for quieter families. The owner of the home lives next door. There is a no tolerance policy for excessive noise, occupancy, parties, smoking, or pets. Failure to abide by these policies may lead to immediate eviction without refund. Please make sure you are comfortable with these policies before renting. 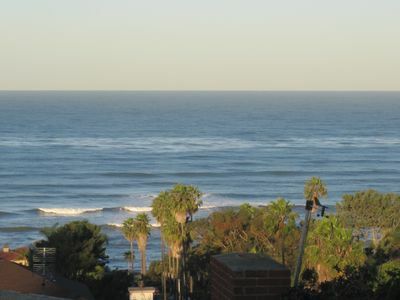 Panoramic White Water 180 degree Ocean View. Beach Therapy! 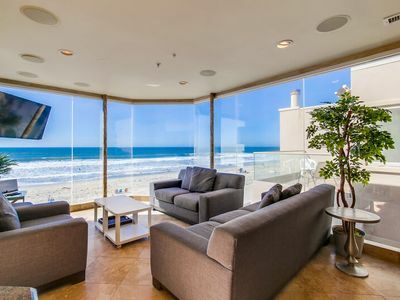 Gorgeous Ocean Front in heart of Mission Beach! 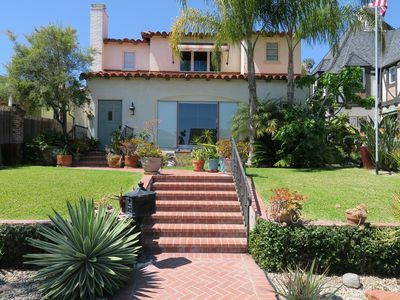 Artist Home in Coronado Village Includes taxes and cleaning! 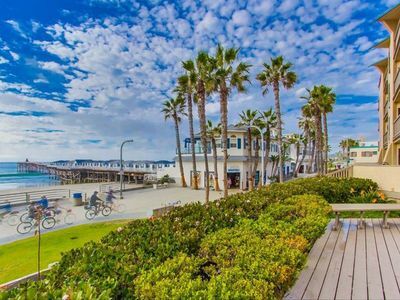 ☀️ OCEANFRONT 🏖 | PENTHOUSE w/ Panoramic Ocean Views , AC + 2 Parking! North Park Bungalow with Huge Yard! 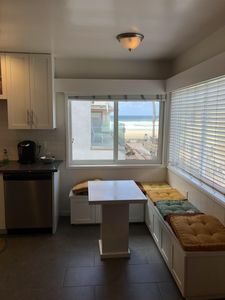 Ocean Views 2 kitchens and 2 parking spots just steps to the sand. 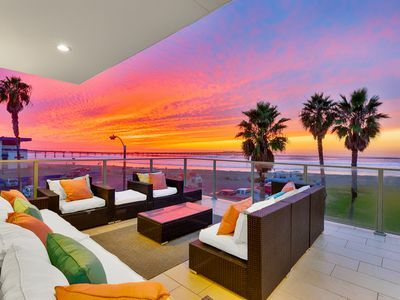 Beach Front Beautiful Pacific Beach!!! 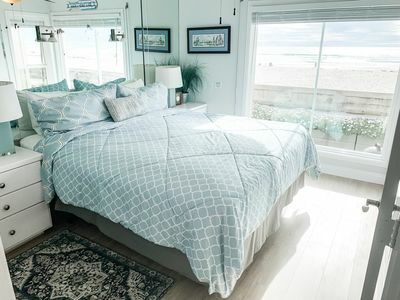 Best Beach in the USA-Beautifully Remodeled Condo! 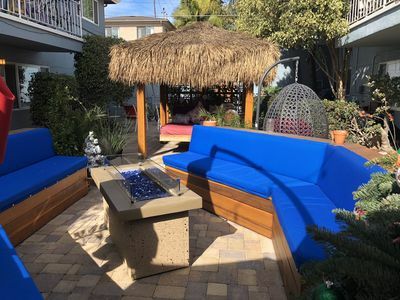 Cozy North Park San Diego Home w/Patio, BBQ, Parking & Minutes to Attractions. 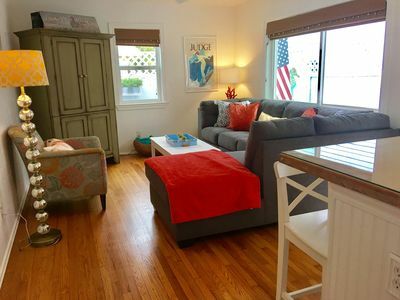 Beautiful 2 bed Apt 2 Blocks to Beach SLEEPS 5! 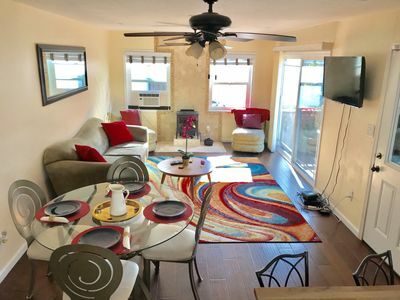 Make wonderful memories at this 3 bedroom bayside condo!